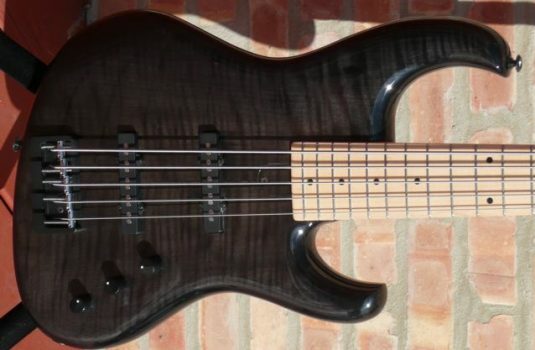 I am reluctant to offer this bass – I wish I could keep it – really. 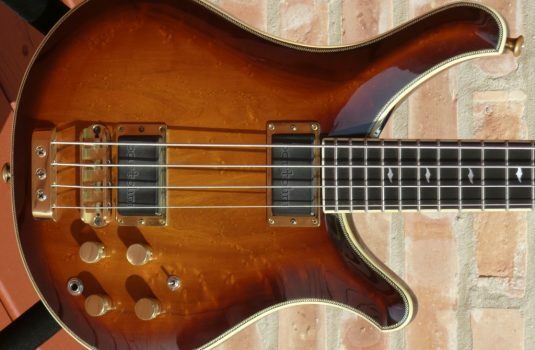 (How many fretless 6s do I need?) 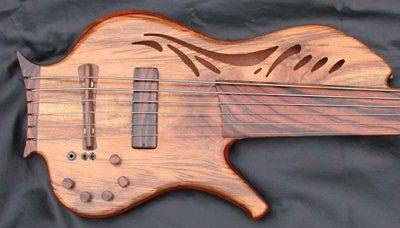 What a great bass ! 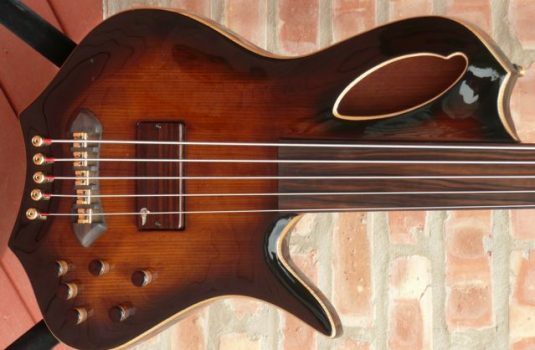 This is a 4 year old bass that just came back from Ken Lawrence’s shop. Ken refinished the top, eliminating some minor scratches. We also asked Ken to make matching Macassar knobs, replacing the original gold metal knobs. So, this bass is now like new and comes with Ken’s seal of approval. 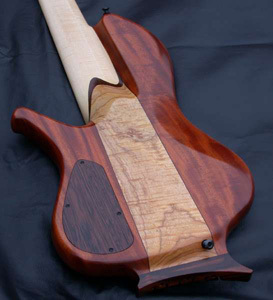 This CB I features a figured Myrtle top and headstock veneer, over a ribbon African Mahogany body. The center block is a rare chunk of Quilted Ash. 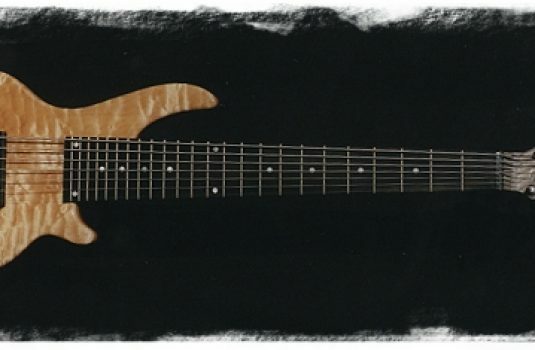 The 35″ scale neck is 3 piece Eastern Maple with a “marbled” Macassar Ebony fretboard. 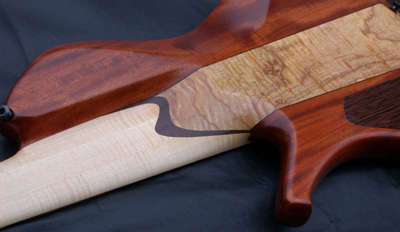 The wooden piezo-equipped bridge is also Macassar Ebony, as is the mag pickup cover. The magnetic pickup is a custom Seymour Duncan low impedance hum-cancelling dual “J” style, with a coil-switching option via a toggle. The piezo is a Highlander Cable transducer under the foot of the wood bridge. The preamp is a Demeter 3 band with mid frequency select via a toggle. 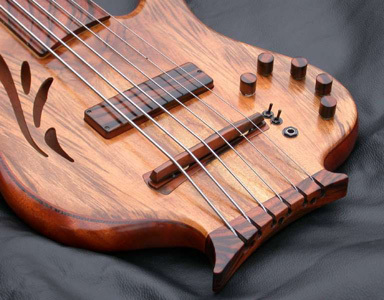 This bass comes with a form fit ultralight hardshell case.